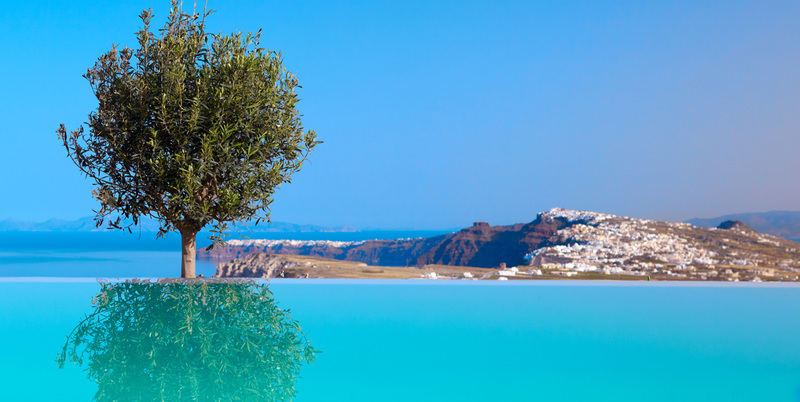 Voreina Gallery Suites is proudly located in the heart of Santorini within the traditional village of Pyrgos. 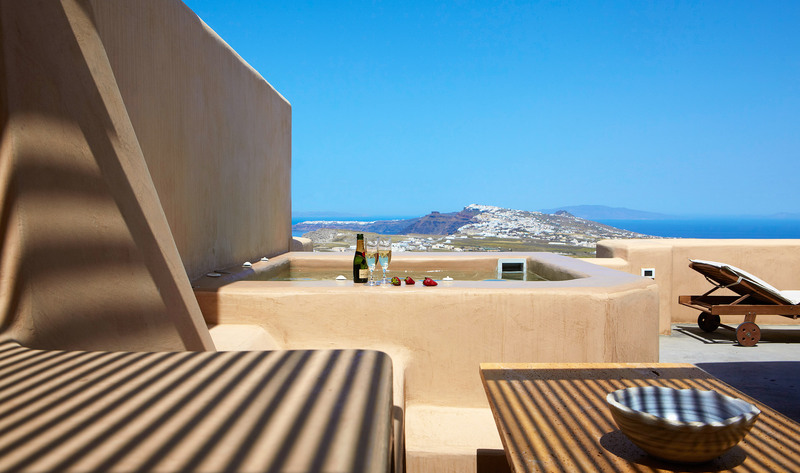 The suites are perched on the northern hillside which allows for a panoramic view of the island and Aegean Sea. The northern directionality of the suites defines the hotel’s location and character, thus its namesake, Voreina (‘Northern’ in Greek). 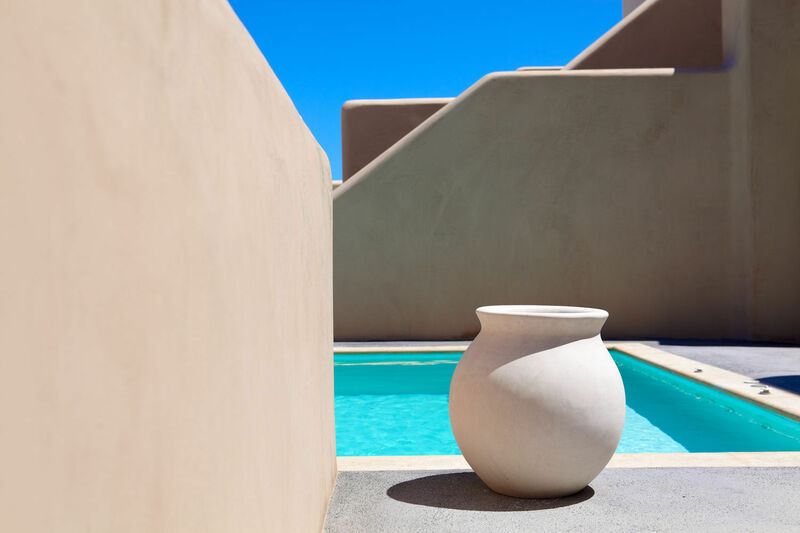 Keeping with tradition and conservation of the village, Voreina Gallery Suites maintains the bold architectural lines that have come to form the quintessential Cycladic landscape. Our nine luxury suites are uniquely designed to exceed your expectations and accommodate your individual needs. Each suite has its own character combining artwork and bright colors. We offer equipped kitchens, private swimming pools or Jacuzzis, fireplaces, large shower rooms and suites that can accommodate up to 5 guests. All of our suites offer a private veranda and are equipped with modern technology. We are also proud to offer an accessible suite to guests who require special assistance, the London Suite. Our four luxury villas are uniquely designed to exceed your expectations and accommodate your individual needs. Each villa has its own character combining unique artwork and bright color palettes. They offer equipped kitchens, large private swimming pools, large shower rooms and can accommodate up to 5 guests. All of our villas offer a spacious private veranda and are equipped with modern technology. 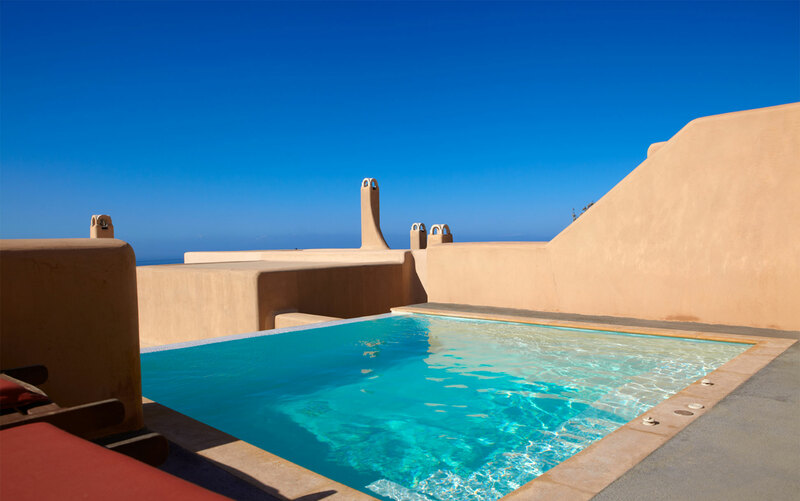 We are also proud to offer an accessible villa to guests who require special assistance. 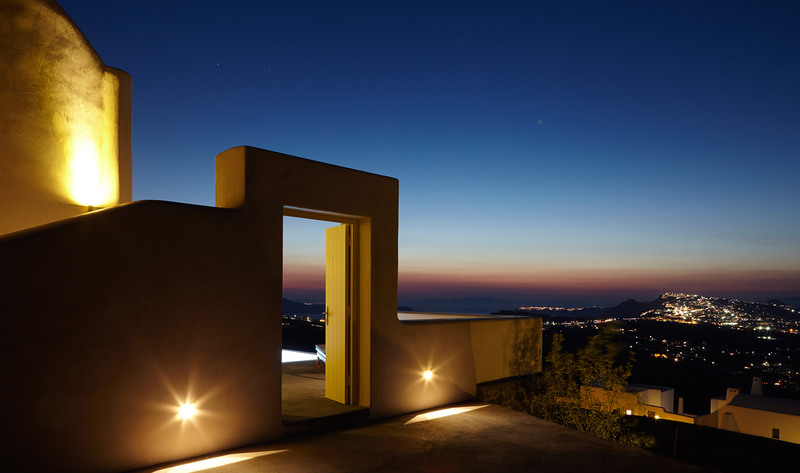 The privileged location of the village overlooks the entire island amphitheatrically, offering spectacular views of the sunset and the Cycladic archipelago. The village of Pyrgos is one of the best preserved Medieval settlements on the island of Santorini. It was the capital of the island after the destruction of Skaros and up until the capital was moved to Fira in the early part of the 19th century. The idea of a ‘habitable gallery’ developed from our love for art and our efforts to give the space we were designing a reason of being beyond that of hospitality. 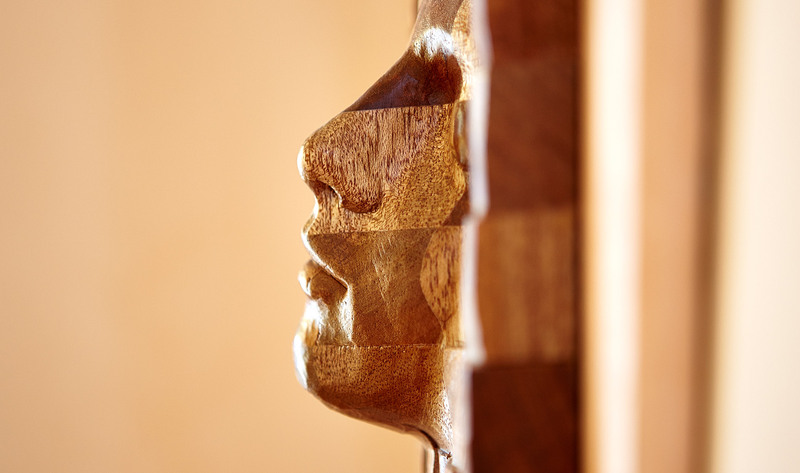 In VOREINA everyone can enjoy the comforts of a fully functional suite while at the same time the art pieces that exist in each space are integrated in a way that the guest can experience them in a living situation. This gives our guests the opportunity to relate to the artwork in a way that may not be possible in a different art space. We attempt to exhibit the individuality of every artist and their work within a suitable environment, a task that is demanding and complex since all the suites and all the artwork have a distinct and unique ‘feel’.